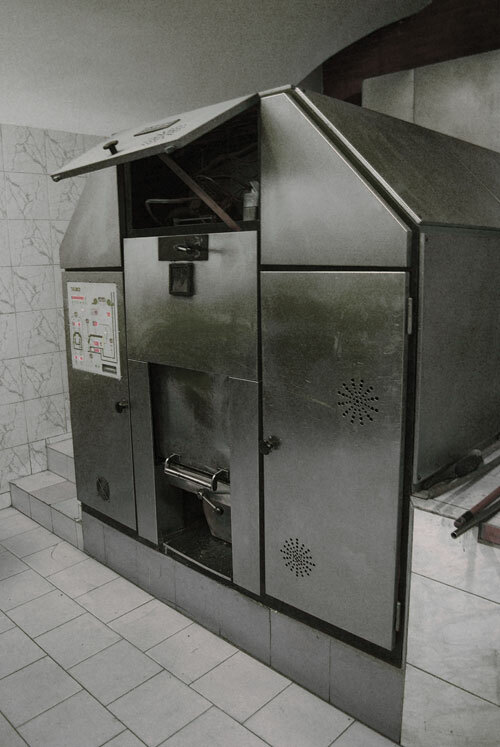 The recording was made in a Crematory in Poznan (Poland) in Ferbruary 2012. In November 2011 there was a public letter of the Polish Episcopal Conference (central organ of Catholic Church in Poland) which said that a burial is a recommended method but the cremation of the body is acceptable, but treated as a pagan tradition. This initiated a public discussion in Polish media about what can be done with our bodies after death and it’s social, political, economical and religious aspects. I went to record the oil runned cremator at work.